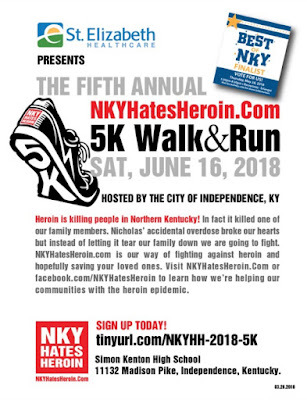 The 5K will take place on Saturday, June 16 at Simon Kenton High School, 11132 Madison Pike, Independence, Ky.
NKY Hates Heroin annual 5K race is Saturday, June 16 at Simon Kenton High School. For the fifth year, an army of volunteers for the organization's biggest and only fundraising event are on a mission to spread awareness about Northern Kentucky's growing heroin epidemic. Holly and Eric Specht who lost their son Nicholas to an overdose in 2013, along with their family have raised nearly $400,000 since the idea came to them while Nicholas was in the ICU fighting for his life. The money raised has been donated to several organizations that help fight addiction like Transitions, Inc., Diocesan Catholic Children's Home, Healthy Newborn House, Droege House and many more. 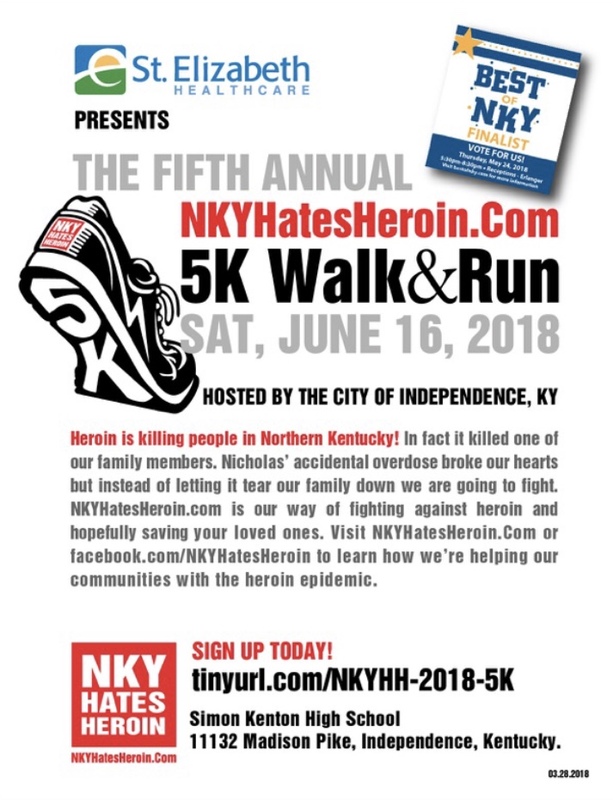 NKY Hates Heroin's mission is to provide support and aid to those affected by addiction and their families by partnering with communities through awareness, resources, and education for prevention. For the past five years, the Spechts have been invited to speak at schools, churches, companies and are regular speakers when heroin and funding proposals are heard at the Kentucky statehouse and at local recovery and government meetings. "The word is finally out there where people feel comfortable enough to talk about it; that was our beginning dream - that people wouldn’t live in pain and shame alone, said Holly. And, it may sound simple, but I think it's allowed people to talk and share. You can’t heal without talking." The 5K, the brainchild of Holly's cousin, Kim Norton has brought more than 1200 walkers and runners each year and raised more than $30,000 last year alone. 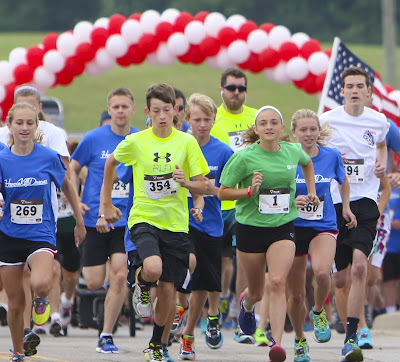 This year, the 5K was nominated for Best of NKY as a finalist for charitable race. 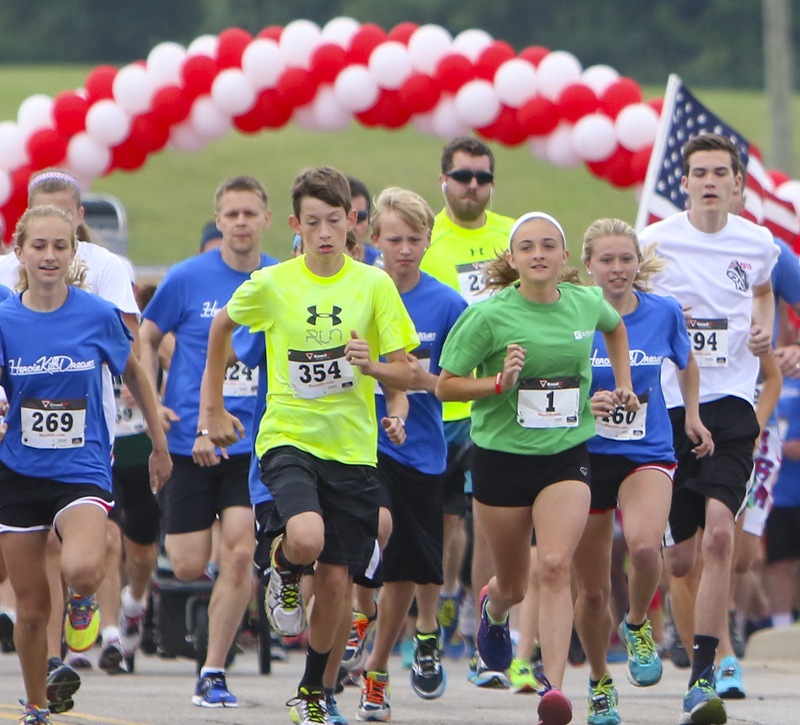 More than 1200 walkers and runners participated in last year's annual 5K. Holly added that last year more than 70 percent of participants were walkers which, she says, testifies it's not just about the race, but about the cause. Holly's brother, Nick Stegner, said, "I'm most proud of all those that support the mission - those that donate their time, money, supplies and heart. The only thing they ask in return is that people open their eyes to this horrible epidemic. They have lost loved ones as we have. They don't want to see other families torn apart. Our communities are speaking out. The 5K has become something very special to so many, and that makes all the hard work worth every drop of blood, sweat and tears." Holly says you can't fully appreciate unless you attend one of these events the passion of those that are trying to bring awareness and the passion of those who want to let people know their loved ones lives mattered. 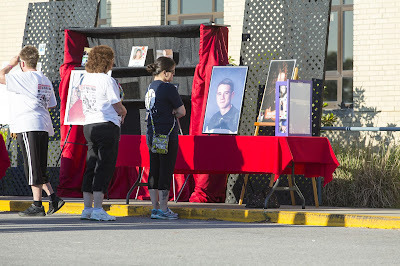 Participants are encouraged to bring photographs of loved ones whose lives were lost to addiction disease for a memorial wall - a place where families can talk, share and remember. 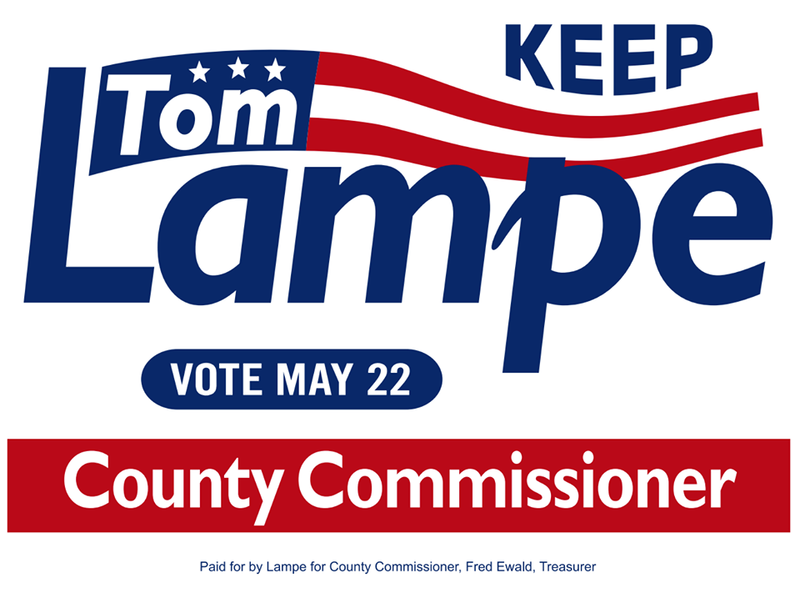 "Without this event, we could not give back to the community like we do because the sad reality is it takes money. Sure I can sit on the phone at night and give support to moms but without this wonderful event where people support us we could not give back," Holly added. The event is sponsored by St. Elizabeth and other companies like Steinhauser, Inc.
Trevor Steinhauser who has sponsored the event for the past two years says this is the time where NKY Hates Heroin needs the most support and can have the most impact. "I am so proud to be a part of this event; it takes so much work to put something like this together. When you have a large group of people that are so passionate about something come together it makes you proud to be a part of it, Steinhauser said. I can't say enough about the Specht/Stegner family. What they have done in five years is truly remarkable. This is a family that has taken a deep loss and turned it into a crusade to help others; that is the epitome of courage. Raising awareness about addiction in our community is critical in the fight against the epidemic we are faced with right now. 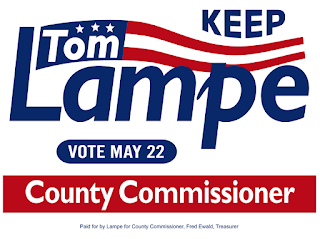 They are relentless in their fight and they have built a wonderful team around them. I urge everyone to come out to the NKYHH 5K this summer and join thousands of people to support a truly important cause." For more information, race day details and to register, visit www.nkyhatesheroin.com.